Government is committed to provide low income houses for the people of Zimbabwe, with at least 470 000 units set to be built in urban and rural areas. The development comes amid estimates that Zimbabwe’s housing backlog stands at about 1,25 million. Cabinet recently approved a deal between Government and various building societies and financial institutions that include the Reserve Bank of Zimbabwe (RBZ), National Social Security Authority (NSSA) and the Infrastructure Development Bank of Zimbabwe (IDBZ) – for the construction of the houses. In separate interviews, local authorities indicated processes to identify land for constructing the houses had begun. The Sunday Mail has gathered that in Harare, areas such as Mbare and Mabvuku have been earmarked for the project, with the local authority set to concentrate on high rise flats. Bulawayo has also identified at least 15 sites where the houses will be constructed, while Mutare indicated it would conclude site identification this week. In Kwekwe, the construction sites for the low income houses have already been identified, while Kadoma has set aside at least two farms for the programme. Government has also begun regularising illegal settlements in urban areas with the Commission of Inquiry set to look into the sale of state land in and around urban areas since 2005 commencing work. funds for the project had already been secured. “Cabinet has given a nod for the constriction of 470 000 houses. The programme will not be in urban areas only, but also in the rural areas,” he said. “At the moment, I cannot disclose the amount we have budgeted for the scheme but what I can say is we have enough financial resources for the scheme. “We want a comprehensive sustainable programme so we will focus mainly on low and medium income houses. “We have started identifying areas where these house will be built. 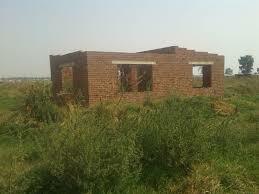 In places such Bulawayo, we have identified 15 places where these houses will be built. Harare acting Town Clerk, Engineer Hosiah Chisango said the local authority has prioritised areas such Mbare for the programme. In his Independence Day speech last week, President Mnangagwa said there is need for comprehensive approach in terms of development around the country. “Recognising the untold suffering and loss of wealth to the populace, and the chaotic urban development brought about by land-related corruption, my Government has constituted the Commission of Inquiry into the sale of state land in and around our urban areas,” said the President. “With regard to local government, management and urban growth, my Government has directed all local authorities to observe good corporate governance, strictly adhere to urban planning by-laws, and facilitate the provision of clean potable water and sanitation infrastructure, among other services and utilities. Most urban areas in the country have been witnessing the mushrooming of illegal settlements.